I was first licensed as WN6KXL in the summer of 1964. I passed the General Class exam within a month of receiving my Novice license. After the first round of incentive licensing, I upgraded to Advanced Class in 1969. Because I became an avid DXer and all the really good activity was at the very bottom band edges, I upgraded to Amateur Extra in 1973 and was issued the call AE6H. W6XA was issued to me as a vanity call sign under the second vanity licensing program. My professional communications career includes employment with the State of California, the County of Marin and a couple of Motorola Service Stations. Amateur Radio Service was established in Tucker, Georgia in 1997. After several years of servicing all the major brands, I was approached by Icom America to become their Southeast Service Center. Since that included warranty repairs on all of their products except Land Mobile, I chose to concentrate on the Icom product line. I moved to Anderson, South Carolina in 2003 where I continued to service Icom equipment until the end of 2012. A move to California meant I had to relinquish that Service Center contract. Conditions changed in California more rapidly than anticipated and I returned to Anderson, South Carolina. 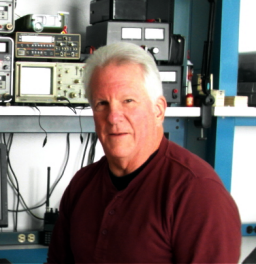 I have rebuilt my service facility in South Carolina and started to serve the amateur, marine and aviation communities of not only Icom but Kenwood and Yaesu as well. My primary focus is to provide the very best repair services available to my customers.